Butterfly Gardener (Jane Hurwitz, editor) is published four times a year by the North American Butterfly Association, Inc. (NABA), 4 Delaware Road, Morristown, NJ 07960. 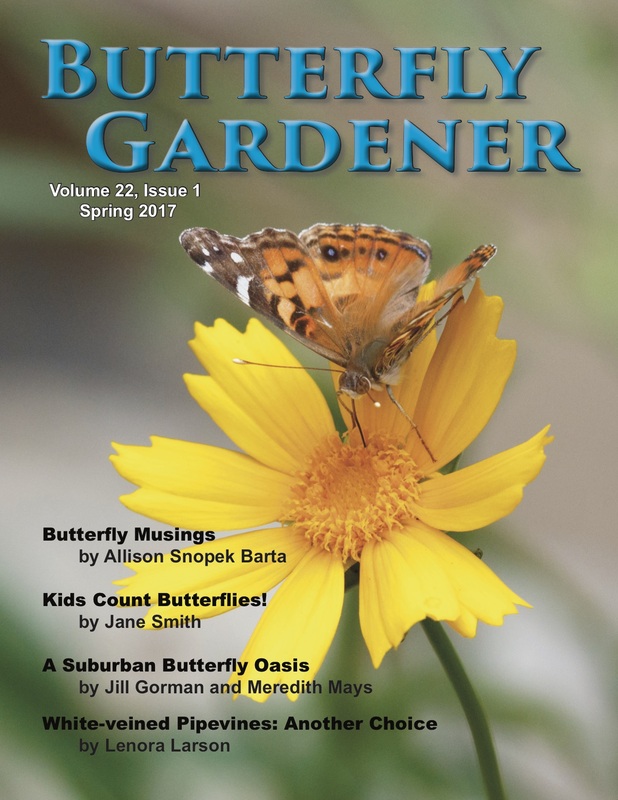 This publication features content spotlighting various aspects of establishing and maintaining a butterfly garden. 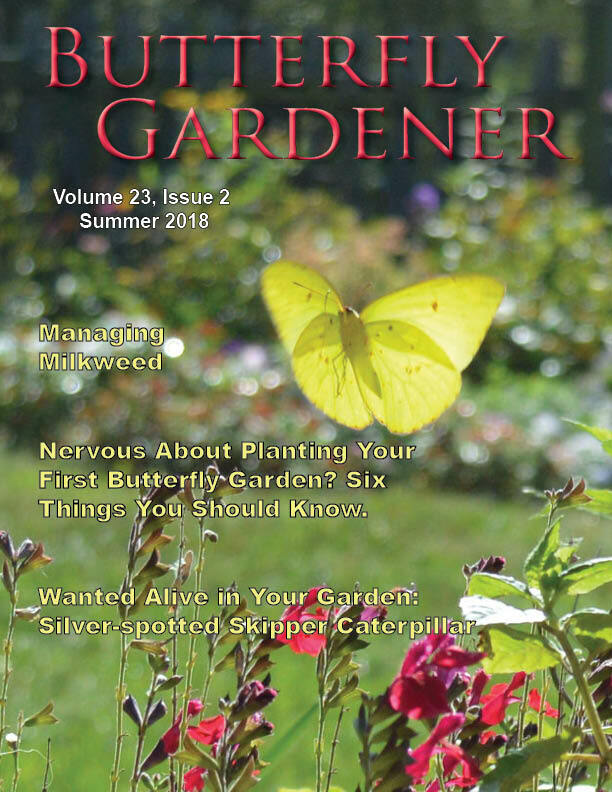 Articles are varied in nature and can include information on community or school butterfly garden projects, raising caterpillars, native plants, book reviews, or any topic that explores the relationship between butterflies and gardens or plants. Tips from readers and updates on activities of local NABA chapters are also included. Members of NABA automatically receive this publication as part of their membership. 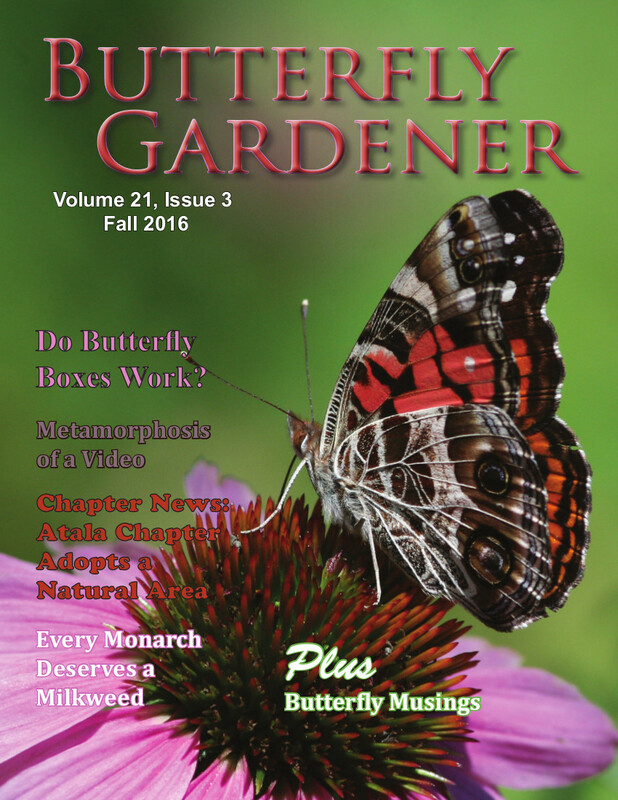 Do you have an article you would like to share with Butterfly Gardener magazine? Our submission guidelines can get you started! 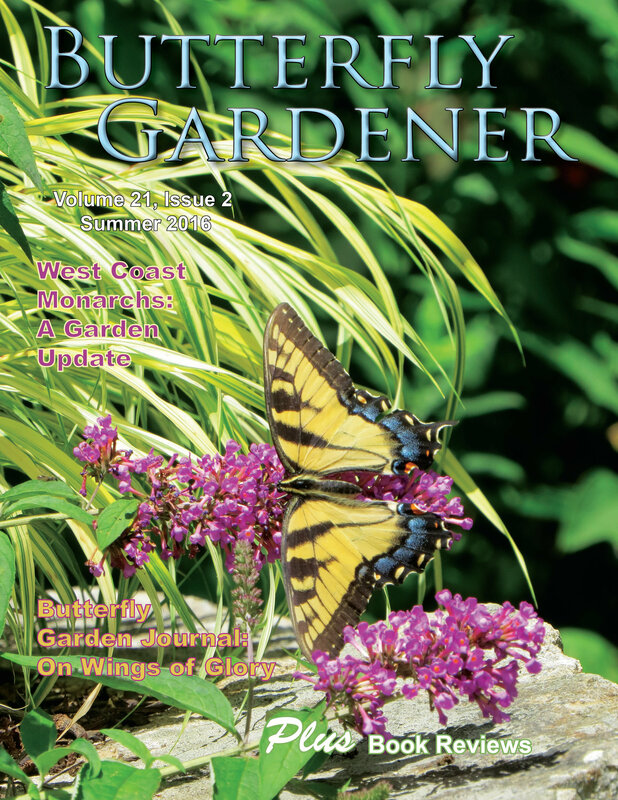 Read the entire Summer 2012 issue which is devoted to the pros and cons of butterfly bush. An interview with Nancy Lawson in the Summer/Fall 2017 issue explains what is means to be a humane gardener.